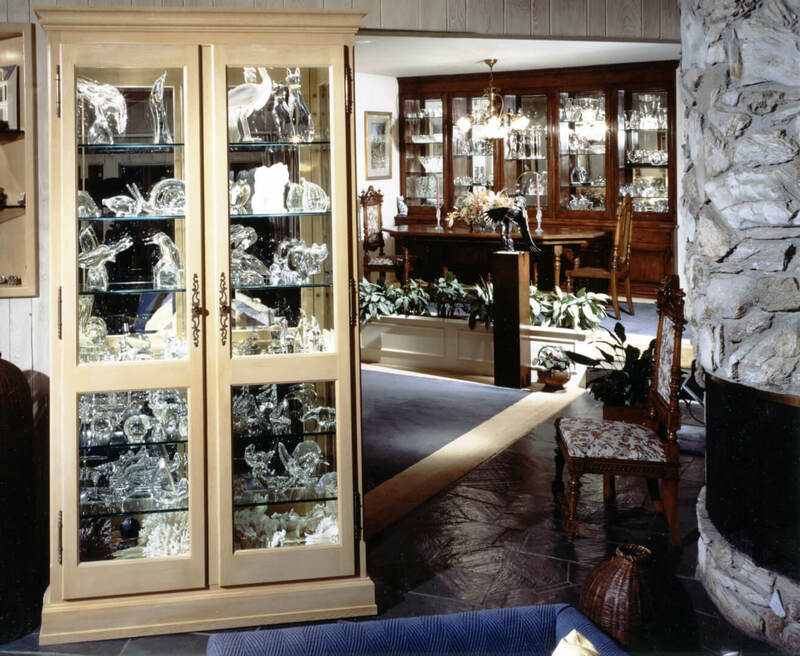 We built both display cabinets some 10 years apart for this client who had a growing glass sculpture collection. The one in the foreground was built of oak with a creamy, pickled finish. The background built-in was built and installed in the dining room when I was working with my mentor, Robert Stevenson. Both were commissioned through the design firm of SZM, Inc.